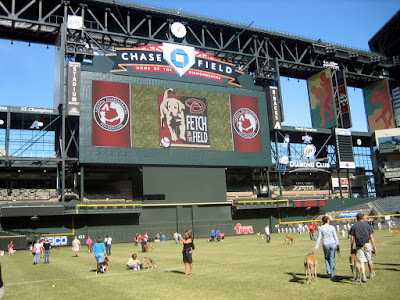 Chase Field, home of the Arizona Diamondbacks, opened up the ballpark to the dogs last weekend. Frankie and Georgie had a great time playing on the huge field of soft grass. 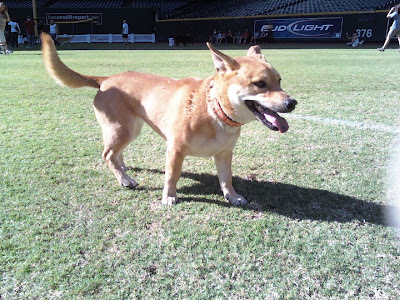 SOFT grass is a very novel concept in Phoenix. Mo stayed home because she's not quite ready for the world of the dog park. Georgie LOVED the dog park! She ran and ran and ran and ran. 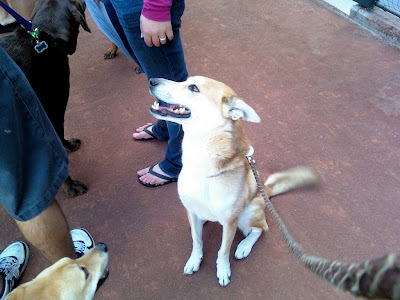 Frankie LOVED the fact that the stranger in line ahead of us had treats in his pockets. TREATS! In his POCKETS!!! I'm pretty sure he would have left with the guy if given the opportunity. Just look at the adoration on his face. 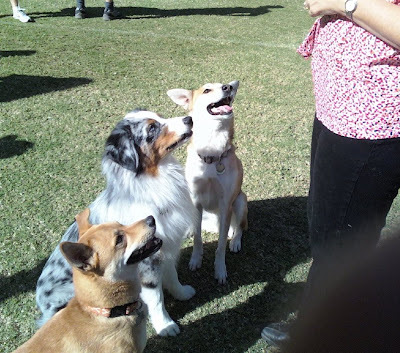 I came with two doggies, but I left with three. 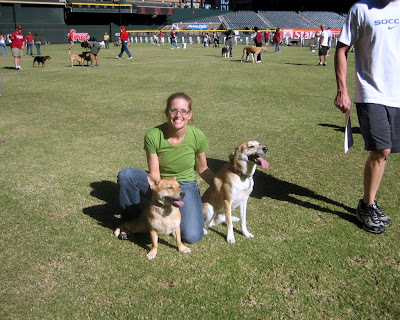 This is Nicole and her lovely lab, Violet, all grown up now. 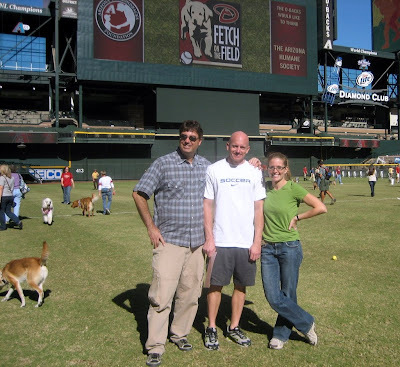 Nicole and Brian had tickets to a football game that coincided with the Fetch on the Field event. 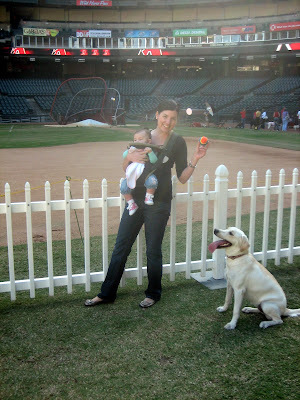 They left early for the game and I took Violet home to continue the playdate with Frankie and Georgie. Though by the time we got home all the dogs were so tuckered out, it was more of a nap date. Don't forget the mandatory swim before naptime. We love our water dog!